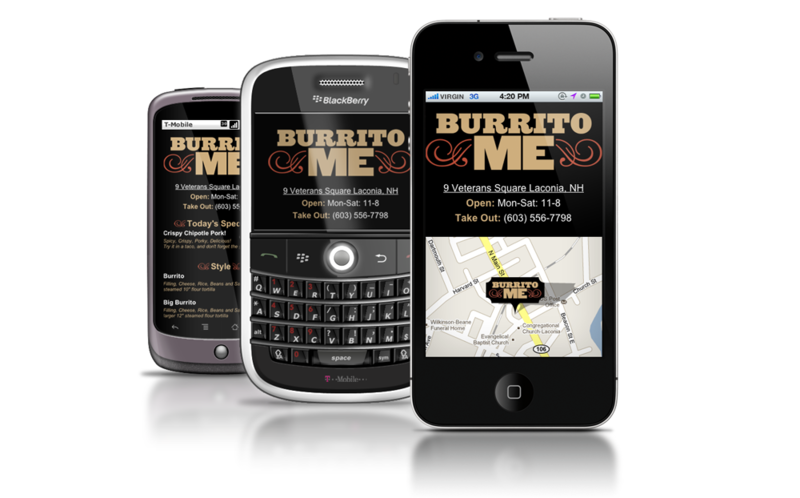 Located in Laconia’s historic train station downtown, Burrito Me is a small taqueria founded by cousins Aaron and Reuben. 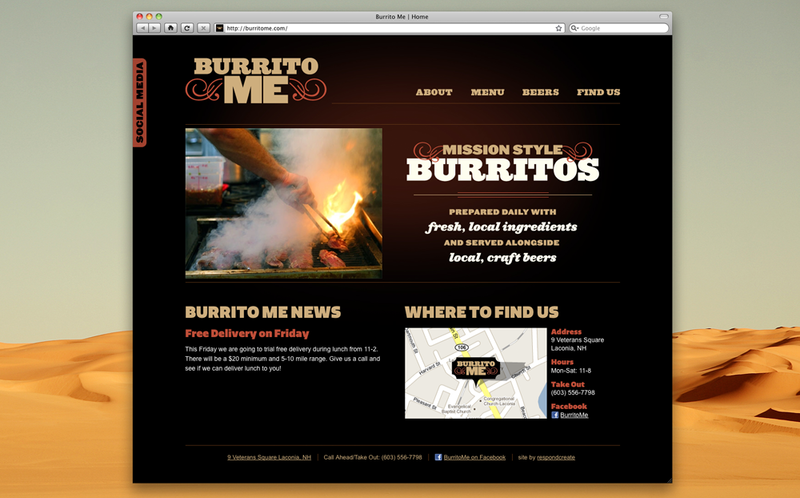 They wanted a website that looked great, was easy-to-use, mobile-phone friendly and tightly-integrated into their social media connections. 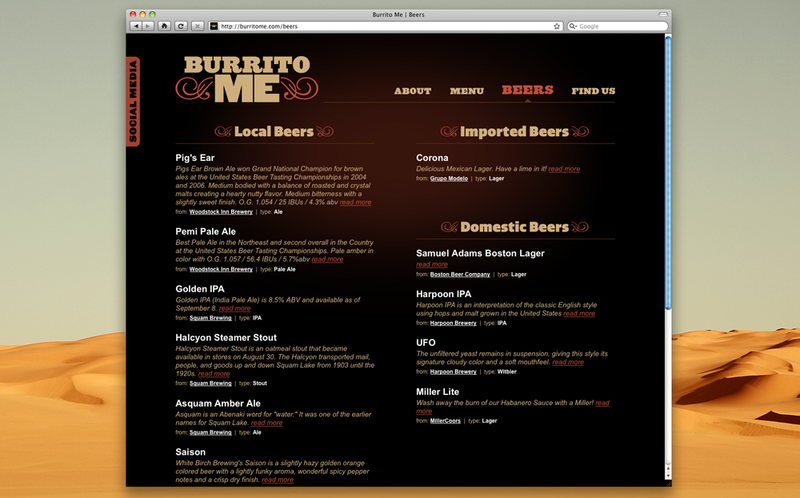 respondcreate took design cues from Burrito Me’s logo and interior color scheme to create a website that would showcase the restaurant’s simple menu, excellent beer selection and mission to provide locally sourced, high-quality-yet-inexpensive food. 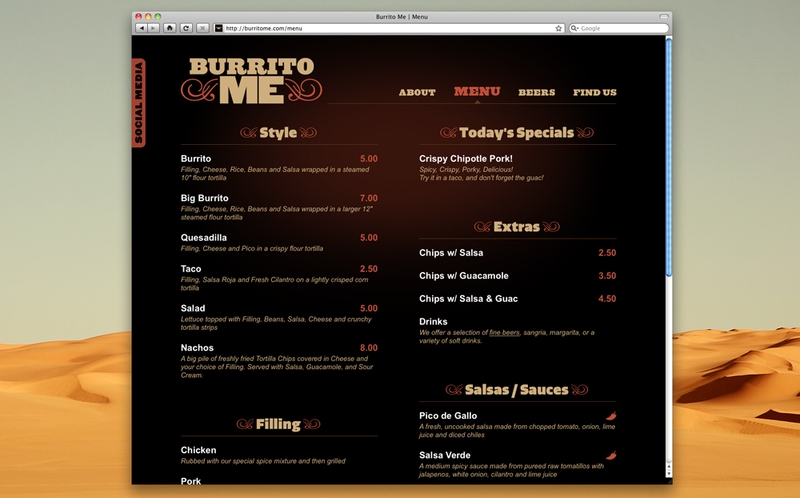 It was also essential that website be mobile-phone friendly so it wasn’t a pain for on-the-go patrons to browse the menu or easily get directions if they weren’t in front of a laptop or computer. It’s powered by the ExpressionEngine content management system so Reuben and Aaron can quickly and easily update the site’s content whenever they please. That means the menu is always current, daily specials can be added or removed at a moment’s notice or a news post about their next brewers dinner can be instantly added to the homepage. 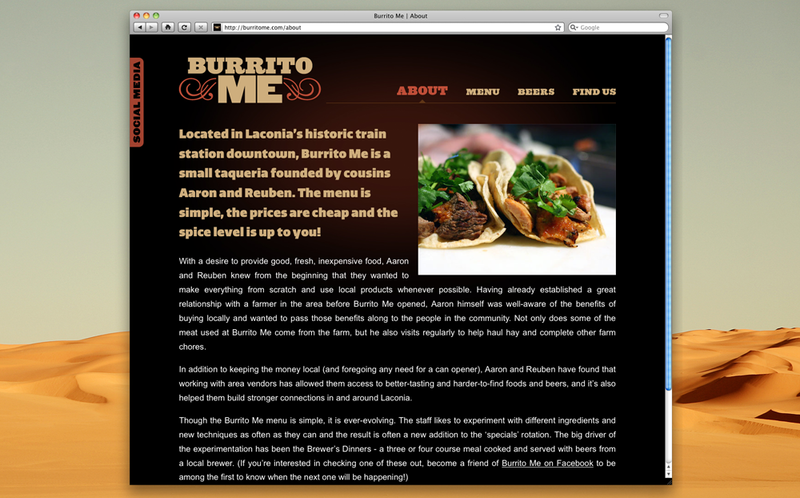 Does your restaurant or small business need a professionally designed, affordable web presence? Send us a message, we’d love to help!